After months of planning and countless emails, phone calls and contracts, Bill, Sophie and I arrived in Seattle on Friday morning. 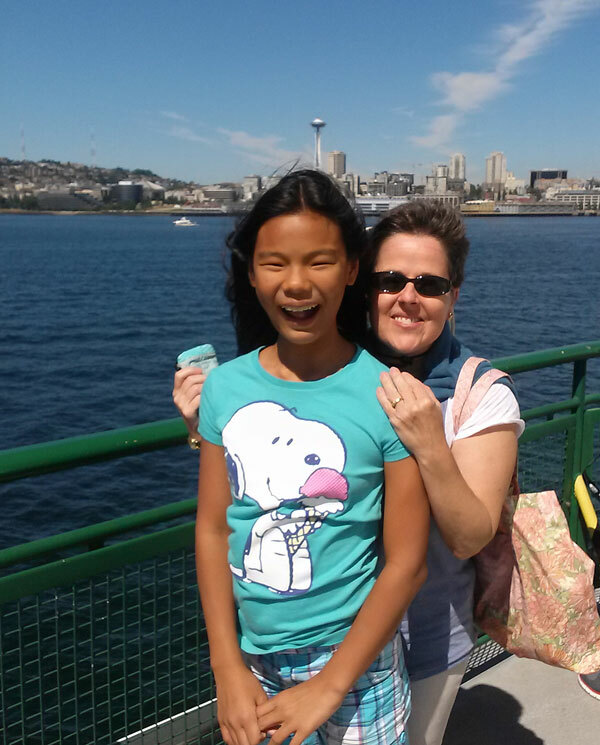 We boarded the ferry for Bainbridge Island (yes, Sophie is now officially taller than I am but still loves to make silly faces for the camera), which was our first stop. This stop was sponsored and organized by Kathy Mack of Pink Chalk Studio and it was lovely. 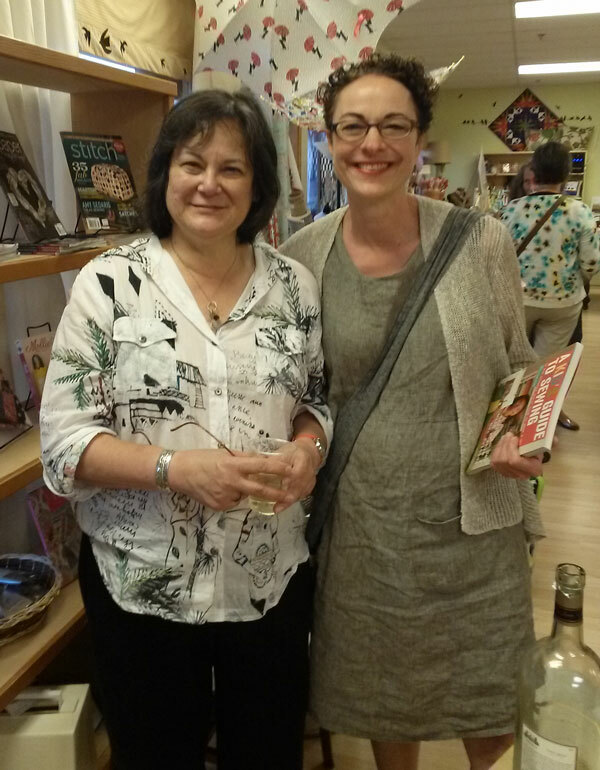 Bill and I lectured at the beautiful new Bainbridge Island Art Museum, which recently opened, and then made our way to the charming Esther’s Fabric Shop owned by Barbara Kirk down the street for a wine and treats reception and book signing. 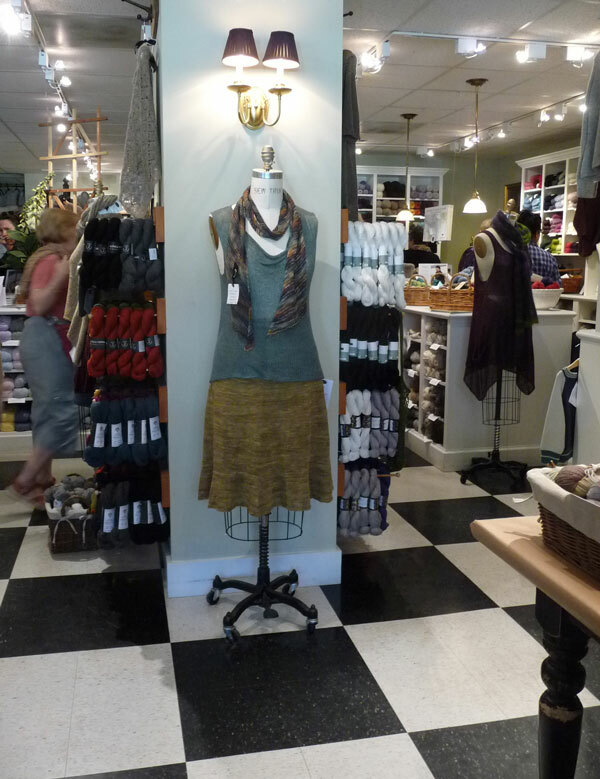 Esther’s is a really nice shop because it has very nice fabrics for garment sewing as well as quilting. There’s no junky stuff, just a group of great fabrics, trims and tools galore. It was a lovely way to spend Friday night and everyone was warm and enthusiastic. Saturday Bill taught a color class while Sophie and I checked out some of the island’s charming shops including a stop back to Esther’s where we bought some fabric and embroidery floss and the Churchmouse, which had a line 15 people deep but had an incredible selection of beautiful yarns. 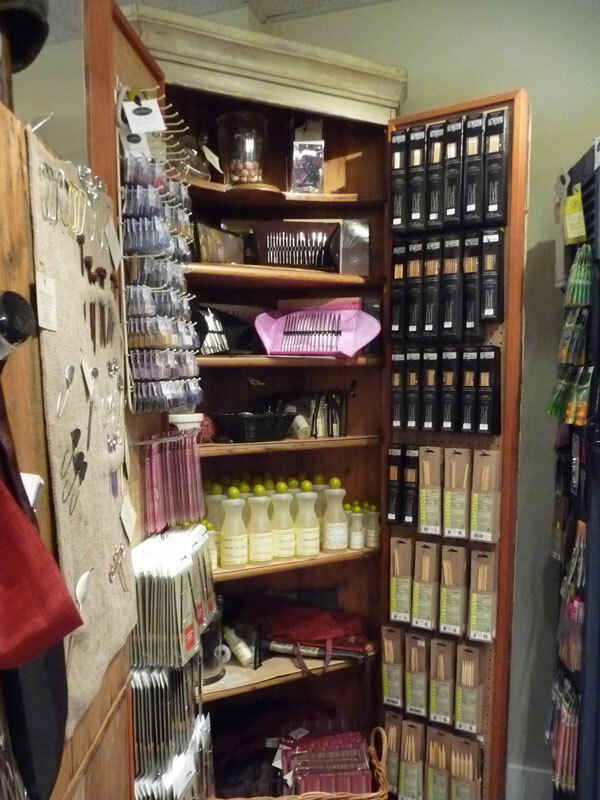 The merchandizing was lovely as well. Later we met up with my cousin and her dog for a picnic here. It has been a veeeeery long time since I’ve had a day off and it was restorative. 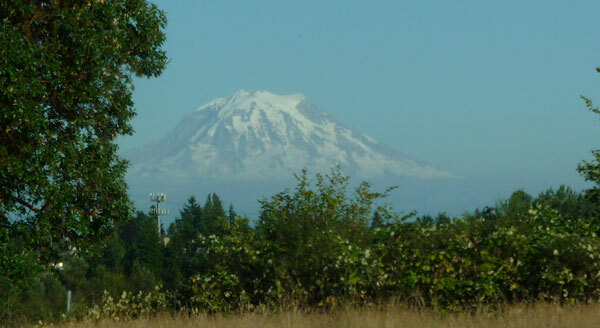 After Bill’s workshop was over, we hopped in the car and headed south to St. Helens, Oregon. The landscape was so different and the presence of the lumber industry was everywhere, including this shot taken from across the street from our hotel. 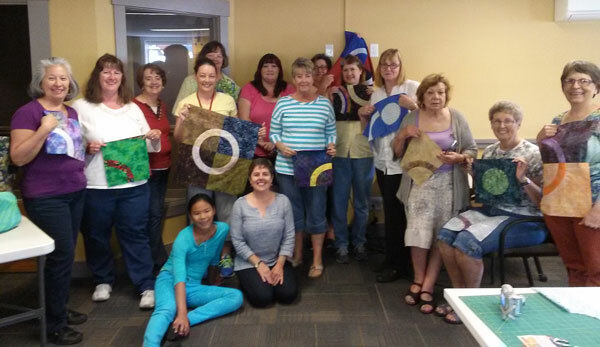 I taught a curves class to the Columbia River Piecemakers Quilt Guild at a community room owned by the Soil Conservation District office. Here’s the part that’s always hard to explain if you’ve never taught a class or given a lecture to a group of quilters. There aren’t many jobs in which one shows up to work with people really excited to see you. In fact they are so excited that they go to all kinds of trouble and effort to show you hospitality. Barbara at Esther’s had wine, grapes, shortbread cookies and tables set up for us to vend our magazines, books and patterns as well as sign books. 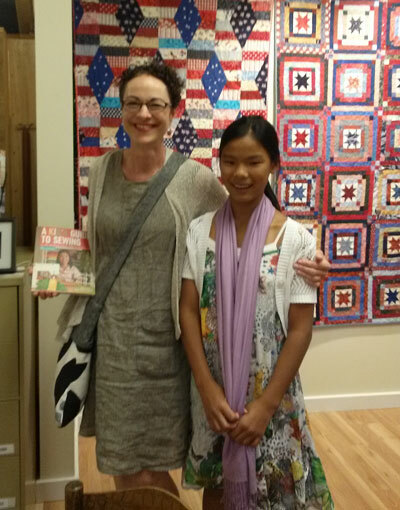 Kathy Mack bought a copy of a Kid’s Guide to Sewing and asked Sophie to sign it. When we leave, people thank us for coming and tell us how much they learned and how fun it was. 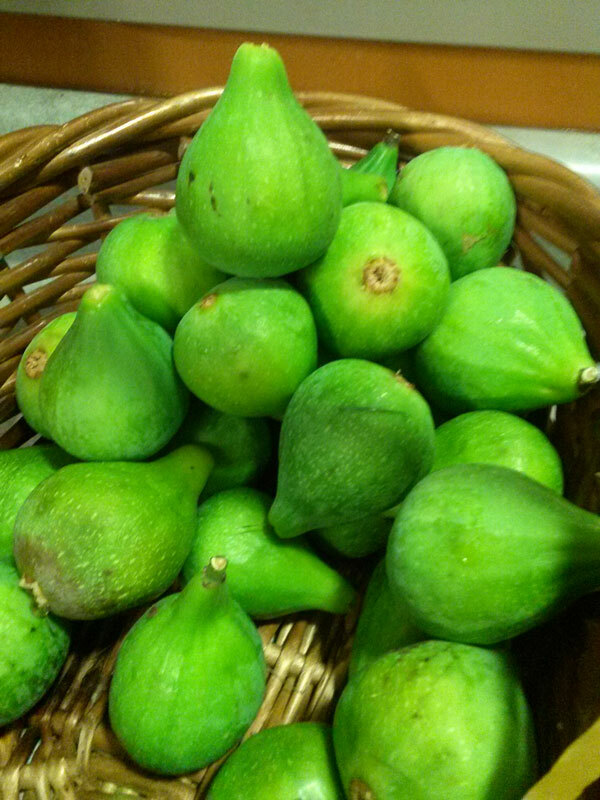 This morning when I arrived to teach the curves workshop, one generous woman had brought an large basket of fresh figs she had picked from the fig tree in her yard. Another had brought chocolate, cookies, cheese and Krispy Kreme doughnuts. The woman who brought the figs gave us a bag of them to take in the car as we headed south. One woman, Ann, who had expressed skepticism at the beginning of the workshop about her ability to piece curves, gave me a thumbs up as I was heading out the door three hours later. She had not only mastered curves but she had inset a full circle with no tucks, much to her astonishment. Obviously we charge money to teach these workshops but the bigger paycheck comes in that last 15 minutes of a class when you look around and people have learned something new. 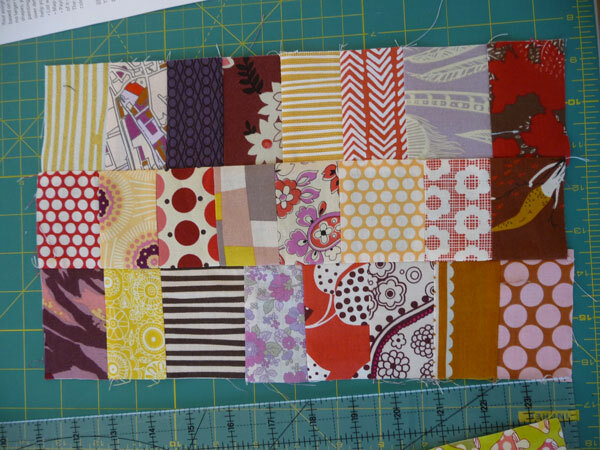 There are piles of blocks or colorful groupings of scraps that represent something learned. The room is usually quiet and people are busily sewing or processing all of the ideas that are now in their brains that weren’t there three hours prior. After our lecture on Bainbridge Island, one woman casually mentioned the next day that she hadn’t been able to get to sleep until 1am because she was thinking about all that we talked about. This is the best part of our jobs. This is why we work so hard. I wish everyone could enjoy this kind of affirmation in their jobs. Most days we deal with someone who is upset because their magazine arrived with bent corners or they want us to help them figure out how to translate the measurements for a pattern for a queen-sized quilt into that for a king-sized bed. But it’s always humbling to walk into that room of people, who have paid their hard-earned money, gotten up early on a Saturday morning and hauled their sewing machines and containers of fabrics to some church fellowship haul or some library conference room because they think we might be able to inspire them or teach them something useful. Sometimes the hospitality and enthusiasm is something I wish I could bottle and take out when I need a little pick-me-up when I’m filing sales tax or withholding tax forms. And if I could, I’d bring a glorious basket of fresh figs to your workplace and thank you for coming as you headed home at the end of the day. Tomorrow: A Stash class here in Ashland OR. I’m teaching while Bill and Sophie go white-water rafting. Stay tuned. Below is the rest of the itinerary. I know there are still spots in the evening color workshop in Santa Monica on Tuesday Aug 6. Others may be sold out. Check with the organizer. i just finished my quilt top for “just passing through” … I took a class with you this June in Shipshewana…I wanted to share a pic with you of the top, but I can’t find your email! Wow this must have been an amazing experience. 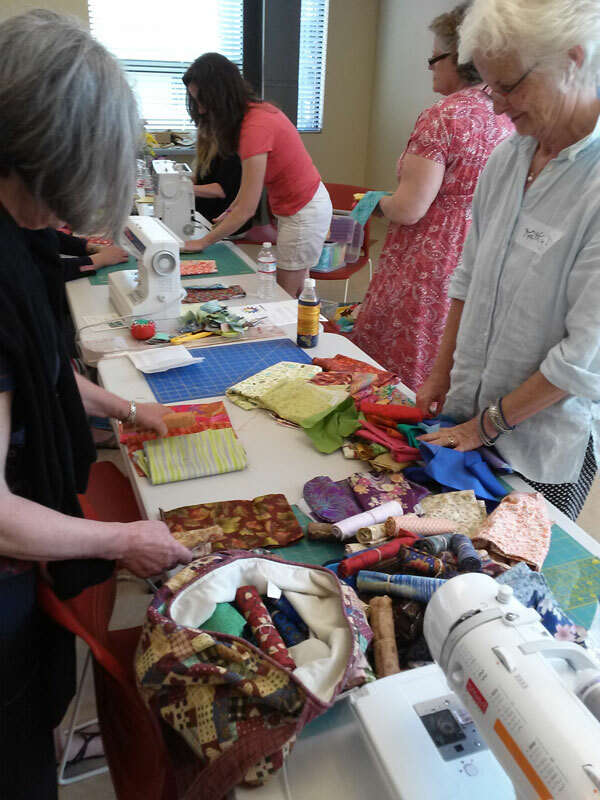 I love to hear about all this quilty stuff and your experience as a quilting teacher! 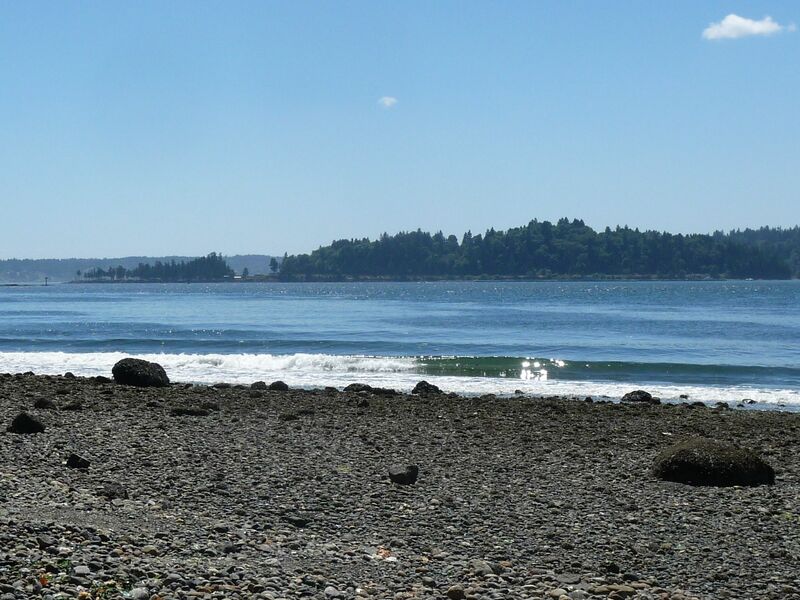 You’ve made me want to go back to Seattle area and visit this Bainbridge Island. That photo is gorgeous of Sophie and you and the mountain behind!Oh to have mountains and ocean!